Dr. Stevens is a leading global educator and has authored many books, two of which are major inter­national texts published in Chinese. He was Chairman, Australian Standards Com­mittee for Value Manage­ment, and is a Fellow of the Hong Kong Institute of Value Management. He has worked with most divisions of the Hong Kong Govern­ment, and has been hon­ored in the Asia Top 500 Leaders List. Dr. David Stevens’ academic qualifications include three Masters Degrees: MEng (Hons); MSc (Environmental Psychology); MA (Literature) and a PhD (Psychology). Dr. Stevens was a senior executive at Coopers and Lybrand (now Pricewaterhouse Coopers) and director of consulting at Horwarth and Horwarth, prior to his role as Managing Director, Strategic Thinking International (where he led more than 1000 workshops across the globe) and then Managing Director, Value Management (UK). 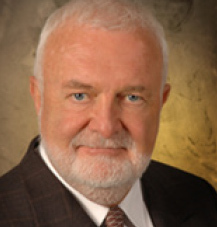 Dr. Stevens was Chairman, Australian Standards Committee for Value Management, and Founding Chairman, of the International Center for Strategic Thinking at the University of Western Sydney (where he was also an Adjunct Professor and external examiner of Doctoral level theses for 11 years). A Registered Psychologist and Certified Quality Management Consultant, Dr. Stevens is a Fellow of the Hong Kong Institute of Value Management and has worked extensively in Asia (including most divisions of the Hong Kong Government). Dr. Stevens is honored in the Asia Top 500 Leaders List.